Ahh breakouts, I know a lot of you hate it and I am no exception. Due to stress and pressure, I had a massive breakout on my upper lip and left cheek. 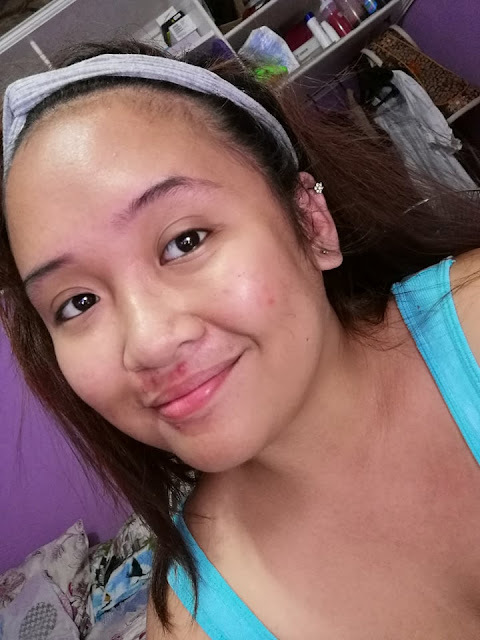 To be honest, I experience pimples but I haven't experienced such breakout wherein four (4) pimples would grow into my face all at once and they grew on a part side by side. Imagine how painful that was. What I immediately do was to stop using all the products including makeup and just let my skin breathe. I guess, I used a facial wash that doesn't suit my face. After stopping all the products, I drink more water and try to eliminate caffeine and chocolates. After a week of not using anything and drinking lots of fluids to flush the toxins out of my body, I started using Lemon Mansi Soap on my face and body. 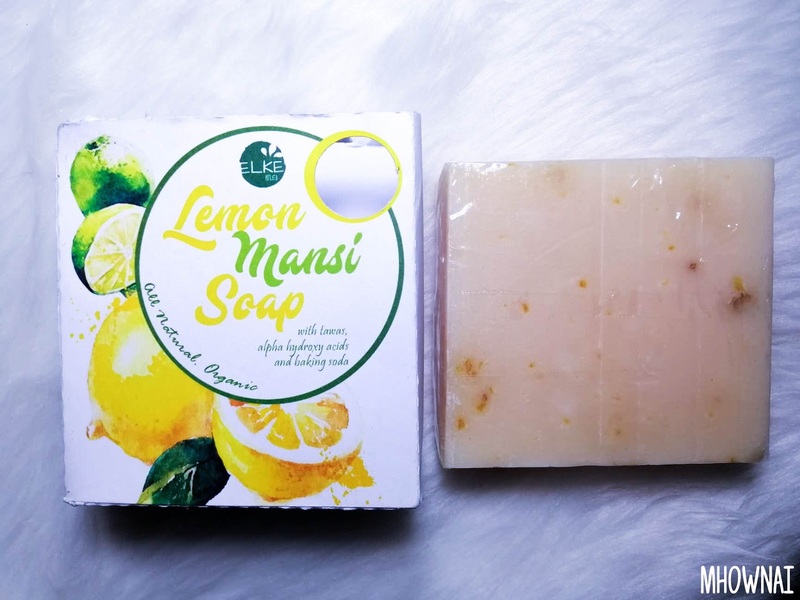 Lemon Mansi Soap is a product of ELKE by Evetag which is made of all natural products such as lemon and calamansi fruit extracts. It is also mixed with purely organic purees, tinctures, and peels from these fruits and made into a soap bar. It also has a lemon oil which is used as a fragrance for intense benefits to the user. It also has some baking soda and tawas which is a well-known local deodorizer. Also, it has Alpha Hydroxy Acids which is a perfect component that makes the skin whiter and more luminous. 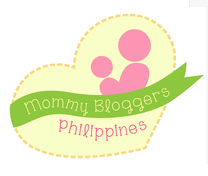 Just to put emphasis, this product is Paraben-Free, Fragrance-Free and Dye Free. Upon trying the product for the first time, it didn't have an effect on me so I was not amazed by it, however, after 2 weeks of constantly using it, it made my pimples dry and it made my face less oily. 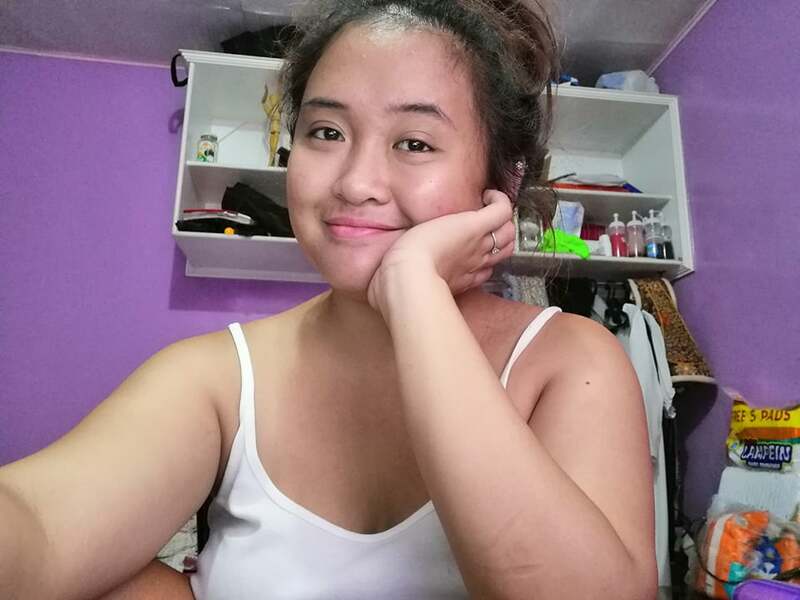 Although it didn't whiten my skin what so ever I am not really into that effect, I'm more focusing on the cleanliness it does to my body and how it made my face free from breakouts. One thing I noticed is that whenever I forget to use deodorant, I feel awkward and I feel like I have body odor (even though I don't have) I mean, have you ever experienced being so OC about your body? I'm like that, I always want to feel fresh and smell fragrant throughout the day. 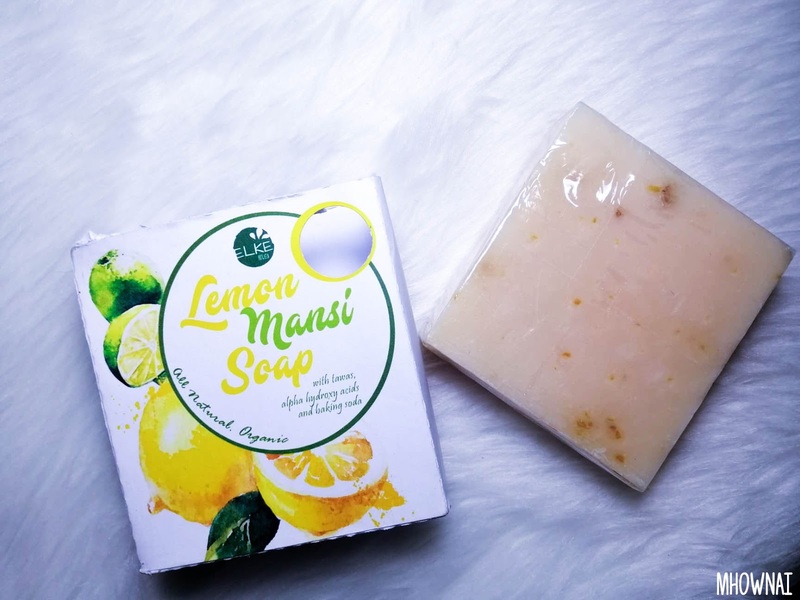 Compared to soaps, when I tried Lemon Mansi even if I don't wear any deodorant, I am confident to move around throughout the day. 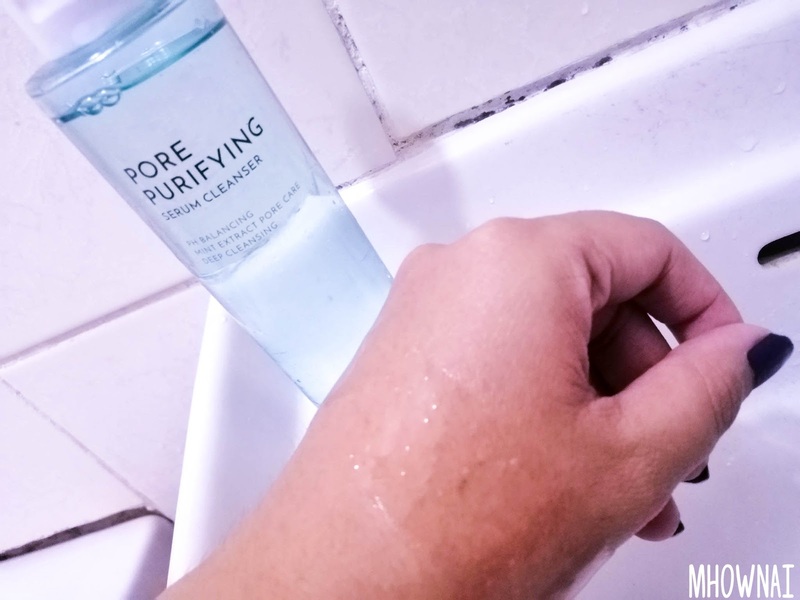 For the price of 80 pesos, I'm deeply amazed by this product, it was foamy and it was easy to rinse off after I rinse it off my face, I immediately notice a tightening effect on my skin but it's not to the point that it is painful due to dryness. That's also one thing that I would love to share, it didn't make my skin dry. That's why I'll continue to use it. 2 weeks after: dried pimples, less painful but there's still pimple marks. 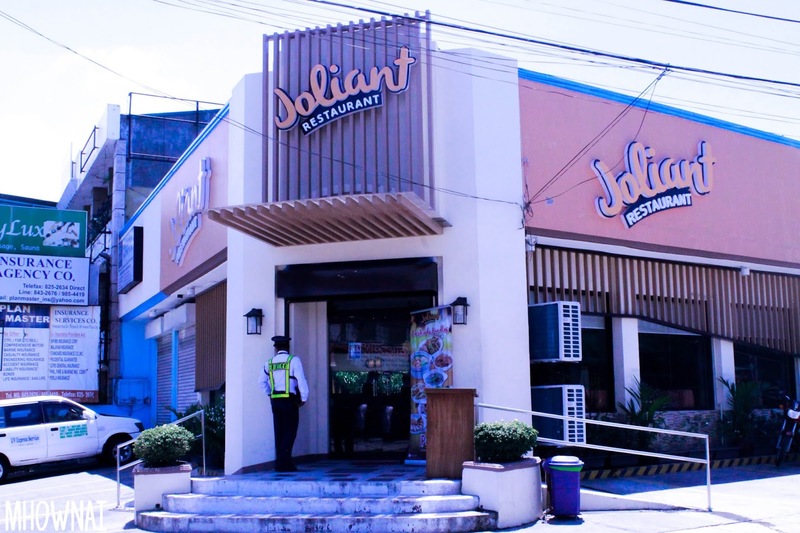 Joliant Restaurant is a Filipino- Contemporary Family Restaurant located in BF Homes, Parañaque. 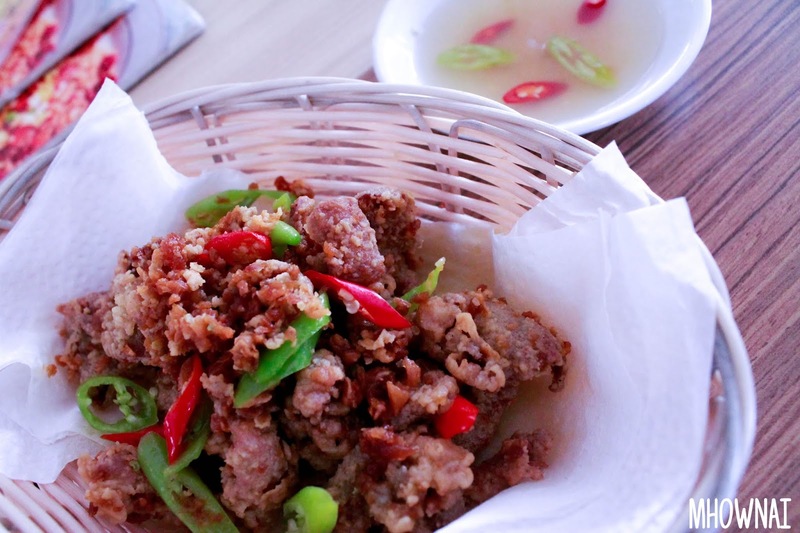 My partner and I were invited last weekend to try and taste their cuisines and to be honest, we were thrilled to have a taste in their local cuisines. 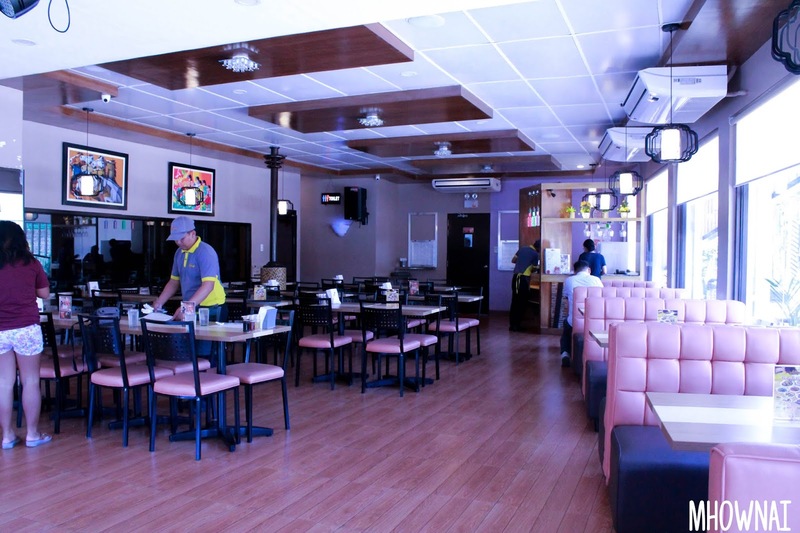 Not to mention, their restaurant's location is quite near to where Jerico leaves and since I do not go to South often, I've been dying to try different restaurants located there. 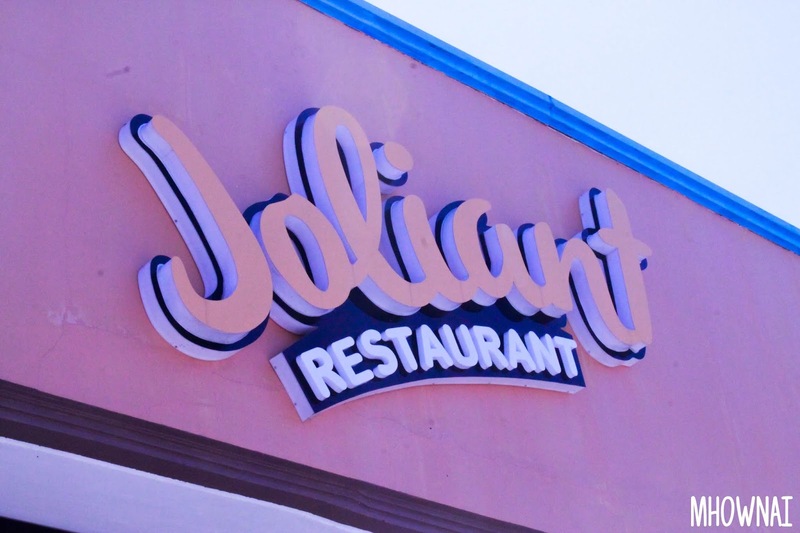 Joliant Restaurant has been in the business for over 12 years with a common goal- to make the people happy as per their name "Joliant" which derives from the word 'jolly'. 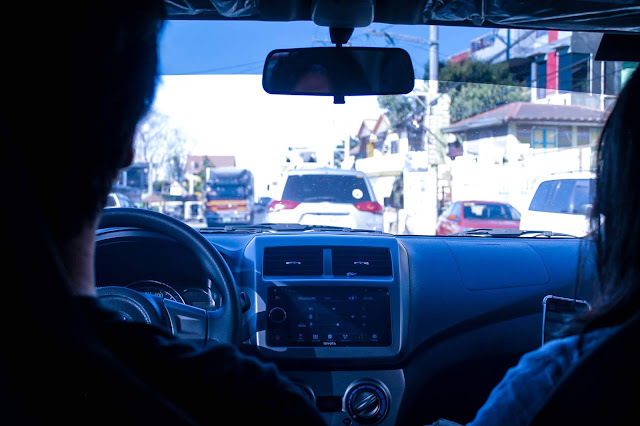 To be honest, the restaurant isn't found in Waze or Grab, however, their landmark (Nuat Thai) can be found that's why we were able to ride a Grab to arrive there. The restaurant was seen easily upon arriving at our destination since there is a huge name of their restaurant there, plus, it's a corner lot so their location is easily visible. Upon entering their restaurant, I immediately noticed how well lit the restaurant. In fact, we need to pull down some covers to take good photos with proper exposure because it's too bright. The place was so roomy with a numerous number of tables, chair, and couches so if the place will be full of people, I don't think people would feel crowded or irritable since just like I told you - there's room for everyone. During our stay, we were served with two (2) appetizers, seven (7) main course, and one (1) dessert. 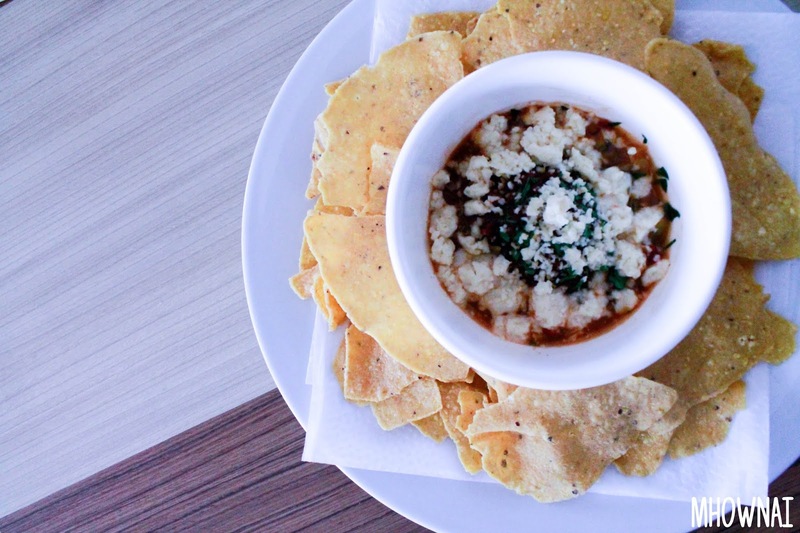 For starters, we were served with Nachos and Chicken Skin. I was in awe of these dishes. The salsa was not so tangy in my liking, the nachos, although taste quite normal, nothing fancy but it works really well with the salsa dip but, I much prefer the Chicken Skin. 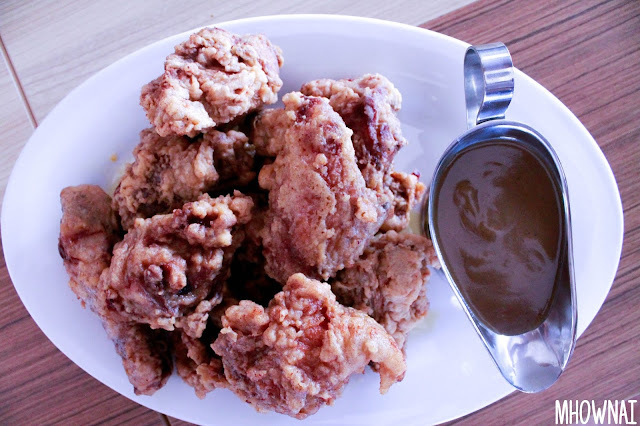 I have been a huge fan of Chicken Skins and I always love to buy them on streets, however, Joliant's chicken skin was very tasty, it is not pure chicken since I can taste some fat in it but the cherry on top was a buttery flavor on the Chicken Skin itself. It's not too salty or bland, it's just right the dip was quite spicy for my liking but still, you can enjoy a lovely Chicken Skin with or without dipping it into their vinegar dipping. Next was the viands, I was so amazed by how big the serving was. To be honest, it cannot be consumed by 2 people, I think it can be consumed by a maximum of 4 people. 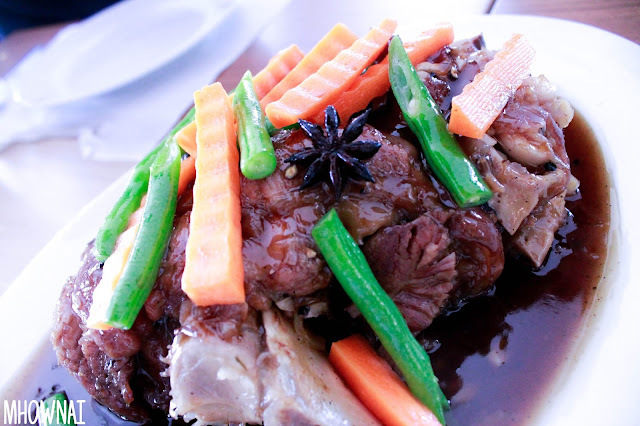 My favorite was the Patatim, the Buttered Chicken, Pinaputok na Tilapia and Chopseuy. The Patatim was very sweet and the meat was really juicy, tasty and it just melts into my mouth. The Buttered Chicken was very buttery (of course) the flavor sinks into the chicken's skin and the gravy works really well with it. 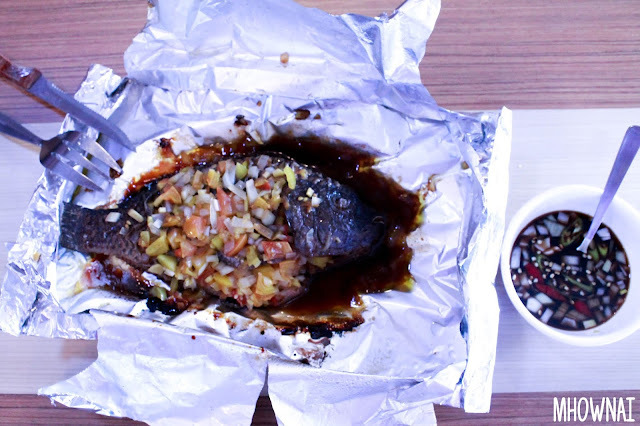 The Pinaputok na Tilapia was a first for me and the owner and chef mentioned that it was Joliant was the very first one to concept a dish like this. It was smokey, savory and the flesh was very juicy. 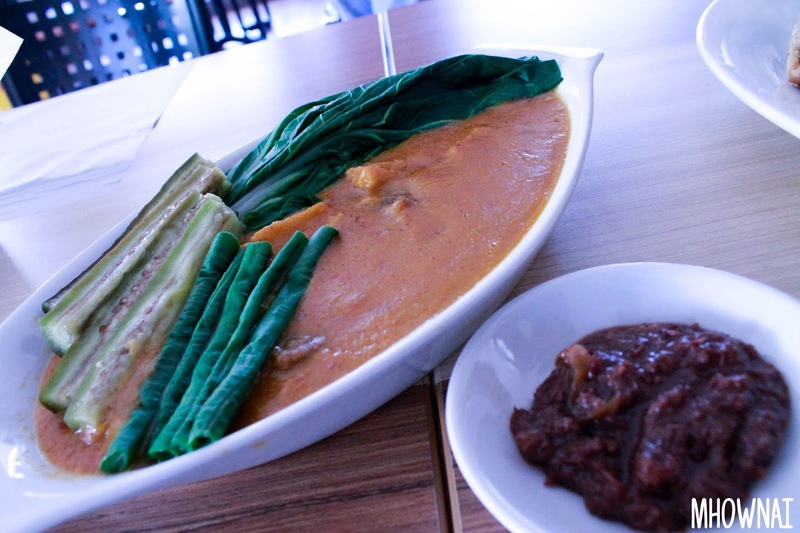 Chopseuy's flavor was so delighting, you can really taste the sauce inside the vegetables. However, the chopseuy's ingredients were cut too big from what I have accustomed, still, I'm impressed by the dish. My least favorite would be the Spicy Garlic Chicken, the Kare-kare and the Sinigang sa Miso (Tanigue) for the reason that, first, I am not a huge fan of spicy dishes and the Spicy Garlic Chicken and the Bagoong Alamang of Kare-kare was just over my league. I even ate a chunk of chili which made me panic because I don't know what to do or what to drink. 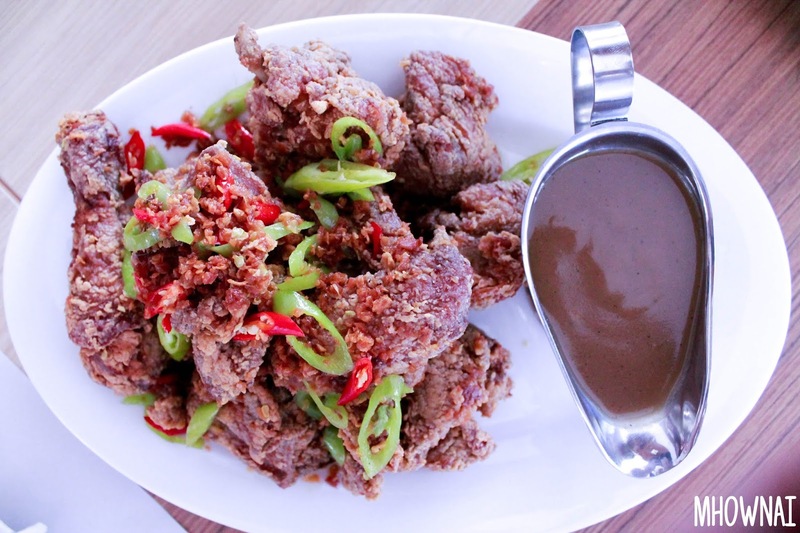 I just wish that they were able to adjust the spiciness depending on their customer's liking. 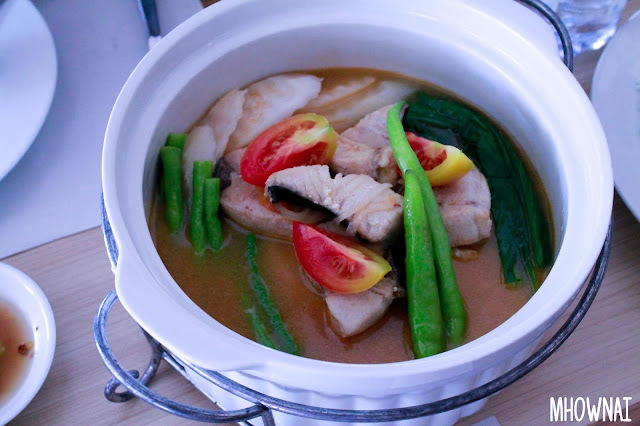 The Sinigang sa Miso, on one hand, was just not my cup of tea, don't get me wrong, the taste of their Sinigang was so good, it's not too sour and it's not bland at all but it's my own personal preference-- I'm just not fond of fish soup and I don't know why. As you can see per caption of the photos, the price is very affordable, it's good to feed for four (4) people, just like what I have mentioned a while back, you will feel food coma right after you consumed their products. With the price as well, the taste was just mouthwatering, as you can see from what I have mentioned above, it is worth a try. 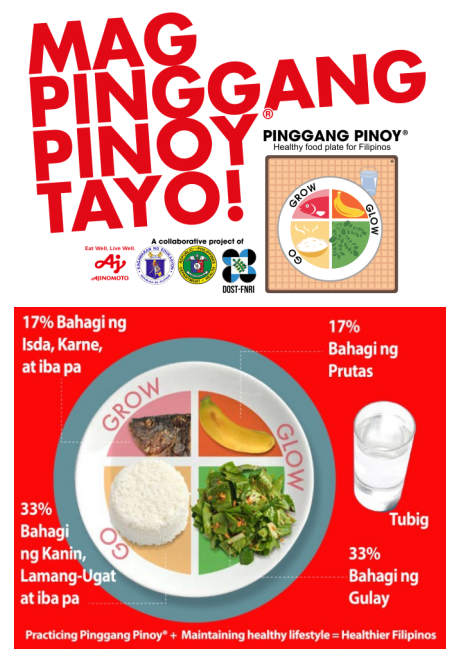 What's good about this is that they have 'discounts' and 'barkada meals' available for you and your friends most especially if you want to let off steam. 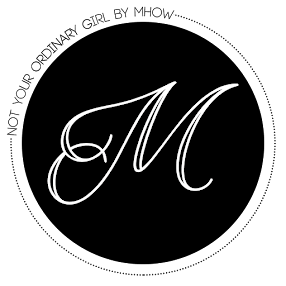 Plus, you can also order liquor and enjoy live band music if you want to let off steam from the heavy workload of stress from the office or at home. As soon as we arrive at their restaurant, we were greeted lively by their guard, furthermore, their servers were so helpful in constantly providing what we need (food, napkins, straws or utensils) plus they are courteous, they tend to ask questions regarding if we needed anything from them. They were smiling during our stay they gave me a pleasant feeling of belongingness and that they live by the name of their restaurant- jolly. 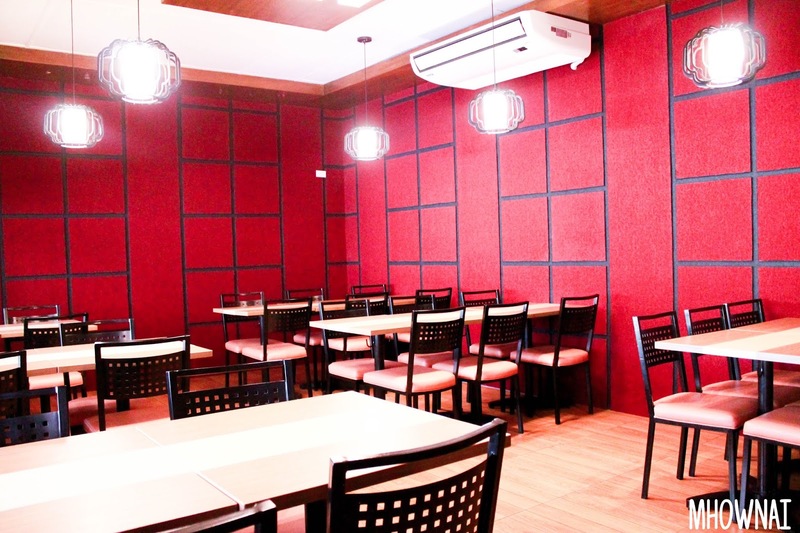 Joliant Restaurant in BF Homes has a function room that is perfect for an intimate family gathering. Their function rooms can cater 30 pax and have a sound system that people can take advantage of such as karaoke or playing some lively music to brighten the mood. If I'm not mistaken, they do have 5 branches all over the Metro and 4 of them cater a function room, however, I'm just quite unsure regarding the specific branches but I will surely let you know once I got the full details. Furthermore, they do have live bands in the evening which is a perfect way to chill with your friends or family over a bucket of beer. 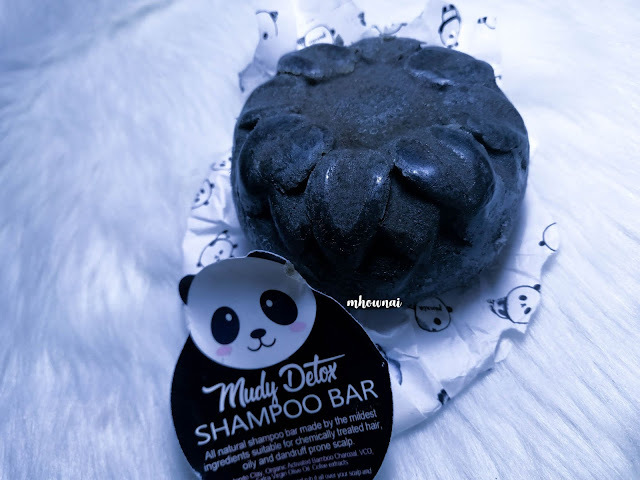 Shampoo Bar is a new thing, we are accustomed to using shampoo straight from the bottle which harms the environment if we don't recycle, yes, that's true. Nowadays, with the rapid development of society, more and more companies still produce products with plastic containers which deeply harm mother earth. I feel miserable whenever I see photos on social media about water creatures die because of this phenomenon. Several weeks ago, I received a Shampoo bar from Elke by Evetag and the first thought I had was "How to use this" to be honest, I have seen this type of products on social media from Lush but this is the very first time to see this in the Philippines. Although it was very interesting to use, I don't know how to use it but I still give it a go. 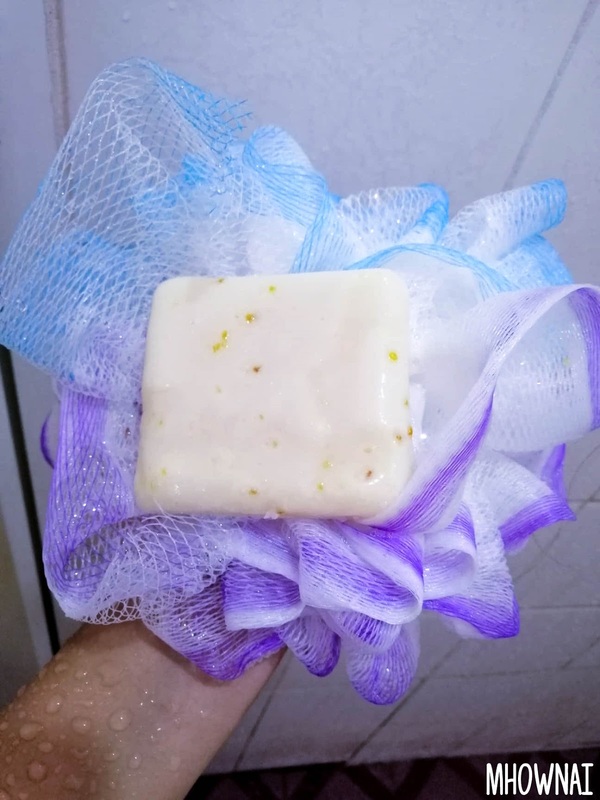 This shampoo bar is non-sulfate, all natural ingredients with no fragrance oil however, there's a distinct scent from the essential oils. This also contains USDA organic actives. It is safe from aquatic animals and plants. Furthermore, it is safe for babies aged 6 months and above. Did you know that Isothionate is one of the mildest surfactant use for baby products? Let's talk about the packaging, I'm immensely happy about the packaging of this product I mean who doesn't love Pandas, right? The package was very cute and what's even better? We can also reuse the paper packaging as a decoration in our planners to match the overall purpose of this product - saving the environment. 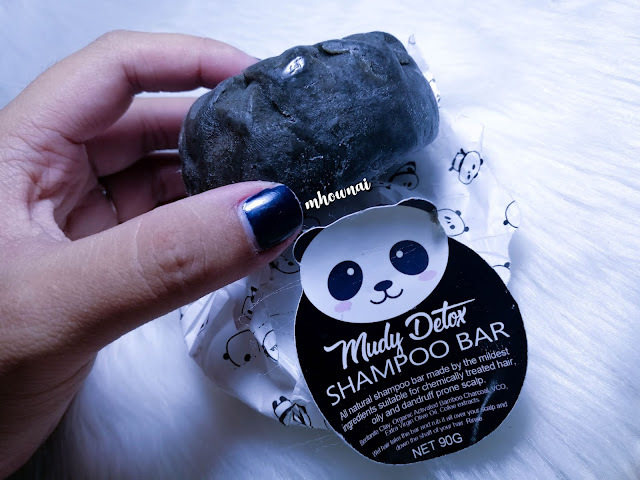 As soon as you open the panda wrapper, the shampoo bar itself was wrapped in a plastic wrap. Which was a bit odd for me, because we are into saving the environment and as much as possible, we want to eliminate the use of plastics. 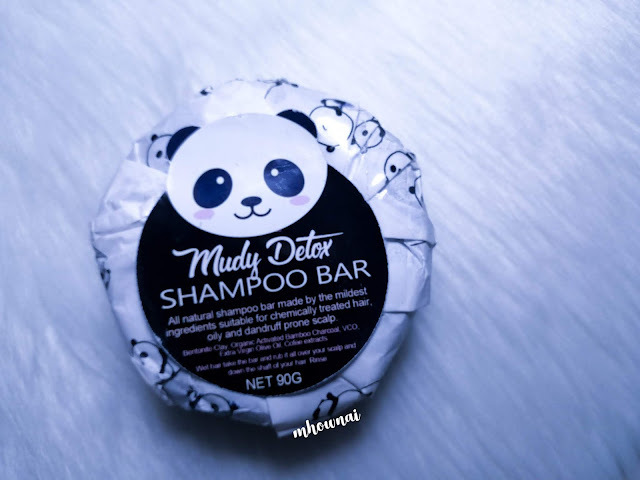 The design of the soap was surprising for me, it was a beautiful flower shape, I was kind of expecting pandas because the cover was panda - you get me? HAHAHA! 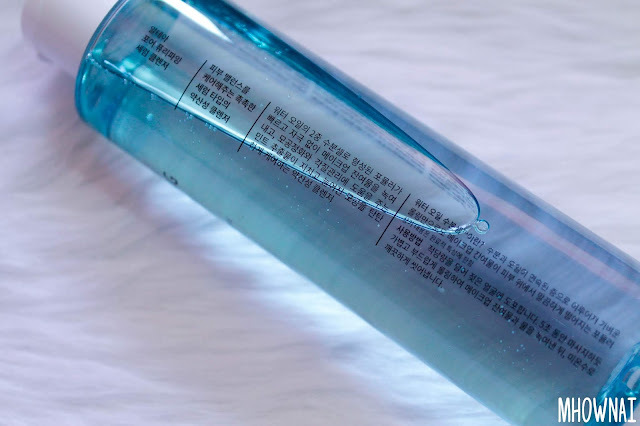 There's no specific scent included in the label so I was expecting that it doesn't have any fragrance but when I tried it for the first time, I smelled a bit of coffee-ish and herbs which was different from my shampoos that I have tried recently. But what's good about it is that the smell didn't stick into my hair but I didn't feel uncomfortable or felt not fresh during my day. The way I use it is rubbing into the ends of my hair and on to my scalp, I didn't feel any discomfort or rough feeling when I tried to rub it in my scalp. 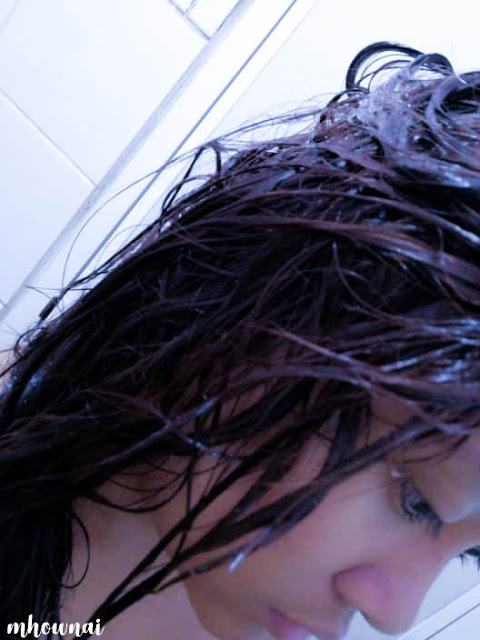 After rubbing it a couple of times, I then tried to massage my scalp, It doesn't have any foams at all that is why I felt skeptical if my hair was deeply cleansed. 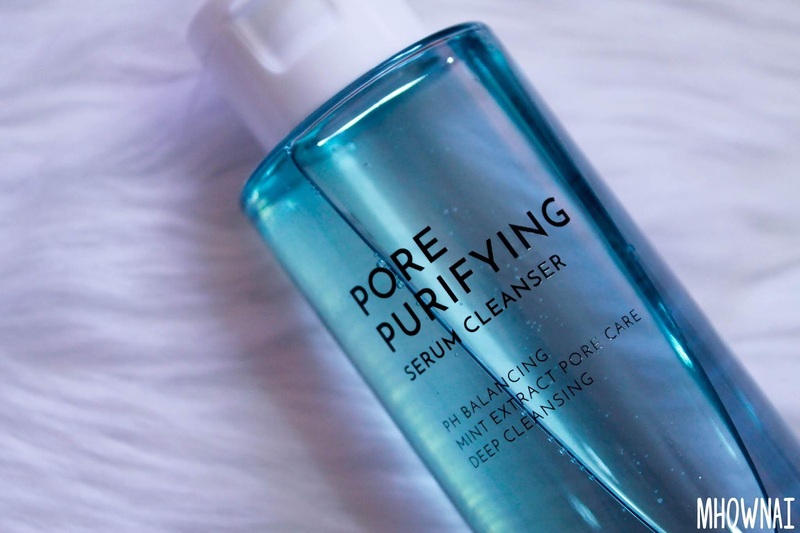 But after using it for a day, I felt amazing because I didn't feel so uncomfortable or sticky during the day so this item is not so bad after all. 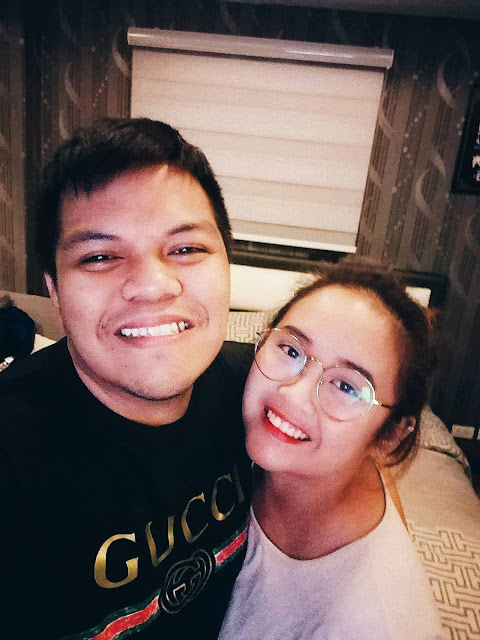 Last February 2019, my partner together with our friends decided to have an overnight staycation in Tagaytay mainly for two reasons: we wanted to get to know more about each other and we need a break from the hustle and bustle in the busy cities. We decided to stay in Tagaytay because it's quite near where they live, plus, there's nothing so special about my location - North. I want to go somewhere far just to let off steam, plus, it's been a while since I got away, far away from my responsibilities and problems in the city. So we basically stayed in a condominium located in the Wind Residences, we're just fortunate that we were able to get an affordable place. To our surprise, the location of our building was quite far from the amenities and the parking lot so it took us around 5 minutes of walking just to enjoy the amenities of the place or even go to our car. However, it's quite near a supermarket so it's quite doable for us to walk to buy our groceries. Walking was not uncomfortable though because of the cool weather of Tagaytay, in fact, I enjoyed walking and I didn't mind walking because it was so relaxing, refreshing and it just feels so nice to feel the cold breeze on my skin. We arrived in Tagaytay promptly noon and the caretaker (Ate Nelly) was so accommodating, she patiently waited for us despite the slow traffic we experienced in the Cavite area (I guess). As soon as we unpacked and lounge for a couple of minutes, we decided to go to the nearby supermarket to grab something to eat since we're famished and we bought our supplies for the evening until the morning. As soon as we got back, we just chilled and then we decided to try their amenities. Jerico and Aaron decided to play bet in billiard while I and Abi went back to the condo to cook the carbonara. 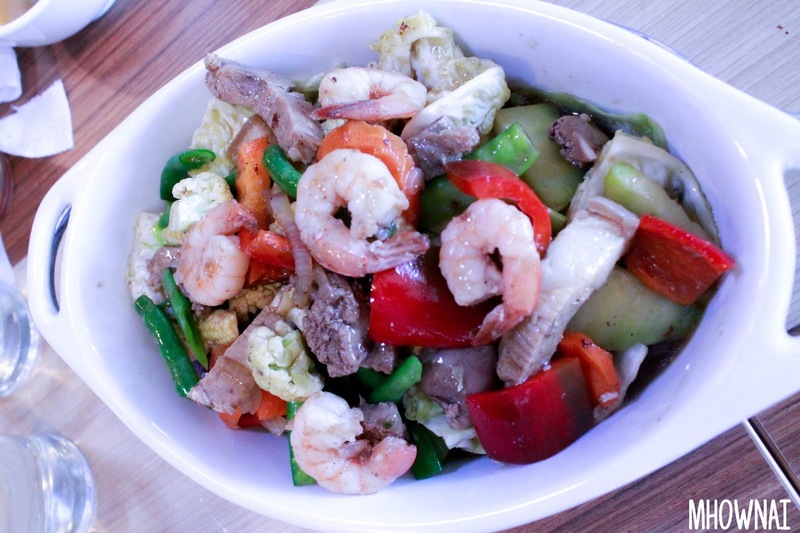 I was so anxious at first since it was my first time to cook for my boyfriend - called me pressured, yep! But the cherry on top is that they enjoyed my cooking. I was so delighted. When the evening came, we just enjoyed Soju mixed with Yakult while the boys had beers, we enjoyed the evening full with stories. In the morning, Eco and I woke up earlier than the others so we decided to prepare the breakfast and we took a morning stroll outside to enjoy the beautiful sceneries as well as practice Eco's photography skills. As the afternoon came, we are bound home and we decided to have a stopover at Tabby Cafe in Cavite-- stay tuned for my upcoming post about this lovely cafe. Overall, this is a fun experience and although the time was limited; how I wish we can spend a week just relaxing, I still released my pressure and I'm looking for more. I'm so excited for the coming staycations and hopefully, Edmund will share the fun with us.